How to Loosen a Stuck Screw. Just starting a home project and the first thing the instructions say is remove the screw/bolt. Sounds easy, but that screw has been there for 12 years and is stuck so solidly Godzilla couldn't turn it. If that's your problem, here's some ideas ranging from the basic standards to the "What the heck, let's try it" that should get that screw loose. Make sure you've got the right size and shape of screwdriver. 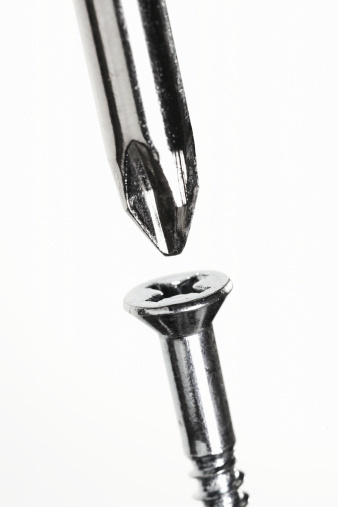 Smaller screwdrivers, even square heads (Robertson) and Phillips screwdrivers will fit into a larger screw head, but won't provide the full amount of torque and you could quickly end up ruining the slot or rounding off the head. Be sure you're turning the screw in the proper direction. If you're working upside down (like on the underside of a toilet seat), it's easy to get twisted around and be tightening rather than loosening. (Remember the old saying, "righty tighty, lefty loosy"). Put some penetrating oil or WD-40 on the screw and let it sit for a while. Insert your screwdriver and tap it with your hammer. 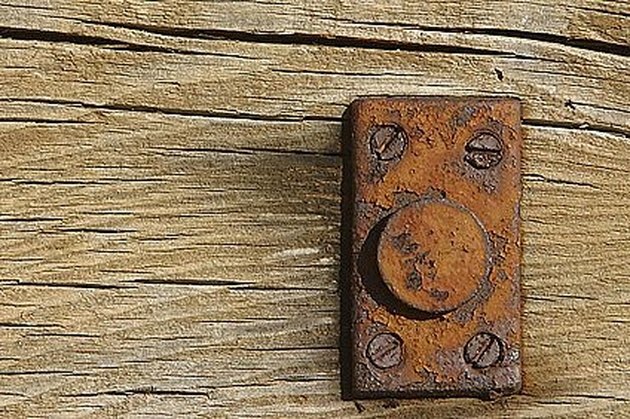 You want to break the screw free from the rust holding it in place and this may be enough to break the bond. Apply some heat directly to the screw head using an electric soldering gun or a propane plumbing torch. Be careful, oil is flammable, so wipe up any excess before trying this one. If your attempts to remove the screw have ruined the head, but it's sitting up above the surface, use a small metal file to make two sides flat, lock on your locking pliers and try to remove the screw by turning the pliers. Use a small hacksaw or a Dremel® tool to cut a slot in the screw head, then use a large slot screwdriver to remove the screw. Use a commercial screw remover like Easy Out® or Grabit®. These are small sharp metal drill bits with reverse (left hand) threads. Insert the bit in your electric drill, set the drill to reverse, then slowly drill into the screw head. As the bit cuts into the screw, the screw extractor will be backing the stuck screw out of the hole. Will Regular Drywall Screws Work With Metal Studs?